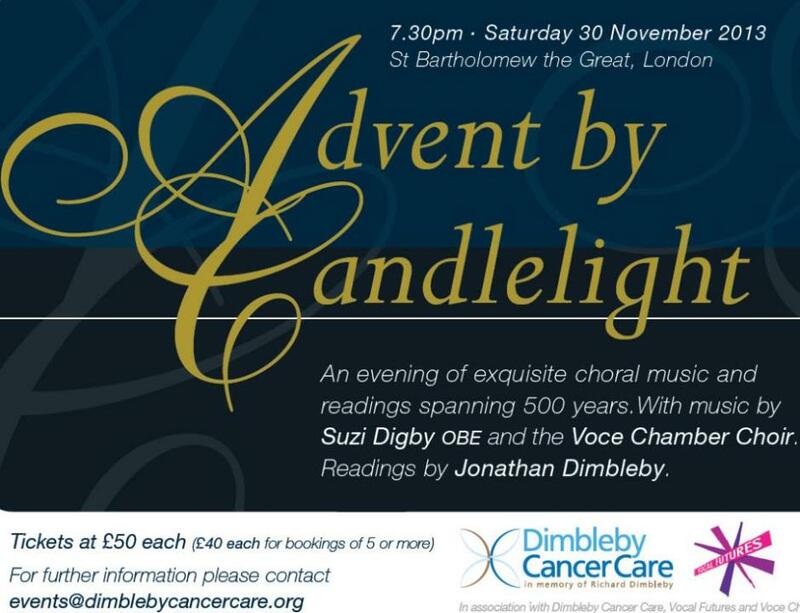 Voce and Dimbleby Cancer Care invite you to join them for an evening of exquisite choral music and readings at St Bartholomew the Great in Smithfields, London. Suzi Digby OBE will lead Voce Chamber Choir in a programme of music, brought together with readings by Chair of DCC Jonathan Dimbleby. Guests are invited to join us for a drinks Reception from 6pm hosted by David and Jonathan Dimbleby.